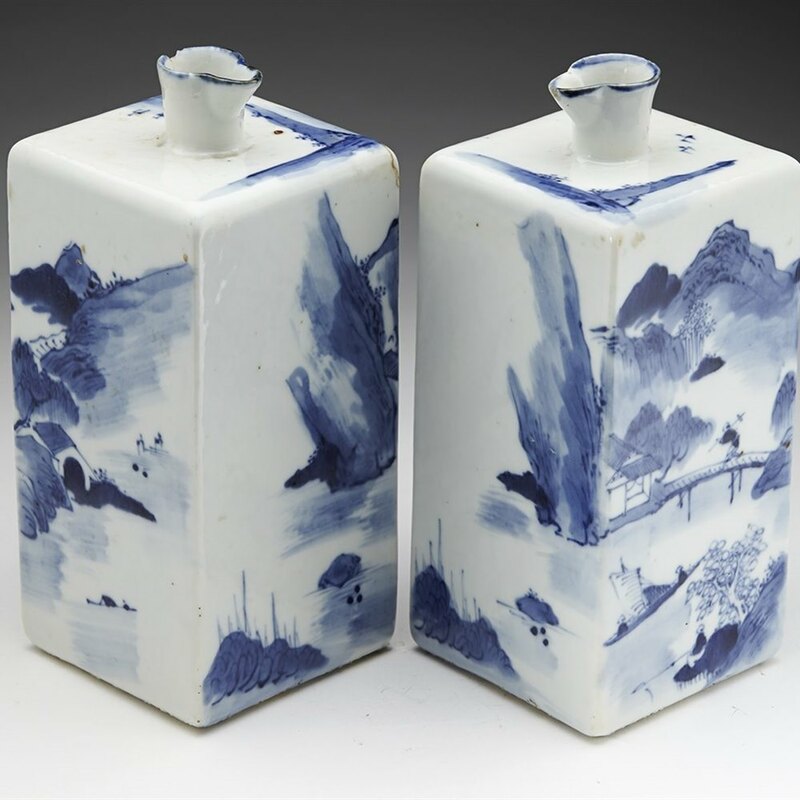 QIANLONG GIN FLASKS 17TH C.
For similar, see Bonhams: http://www.bonhams.com/auctions/20580/lot/365/ We offer this rare pair antique Chinese porcelain gin flasks with blue and white watery landscape designs and dating from probably 17th century. The square shaped flasks have unglazed flat bases with a small raised pouring spout to the top. 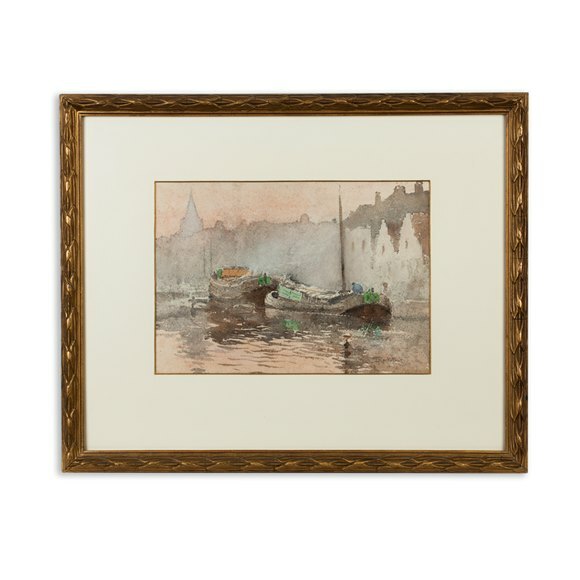 Both are painted in underglaze blue with painted watery landscapes with a figure crossing a bridge with a boat and fisherman in the foreground and with mountains in the background. The scene extends around the four panels with buildings and a continuing watery landscape. Smaller and similar designs are painted around the top of the flasks with blue painted rims around the pouring spouts. 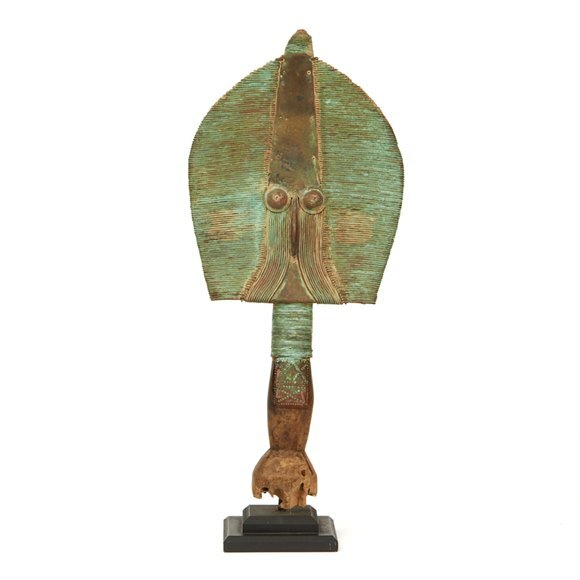 We have found reference to very similar spirit flasks made for the Portuguese market in the 17th century and it is possible that these too are earlier examples. The flasks are however not marked.